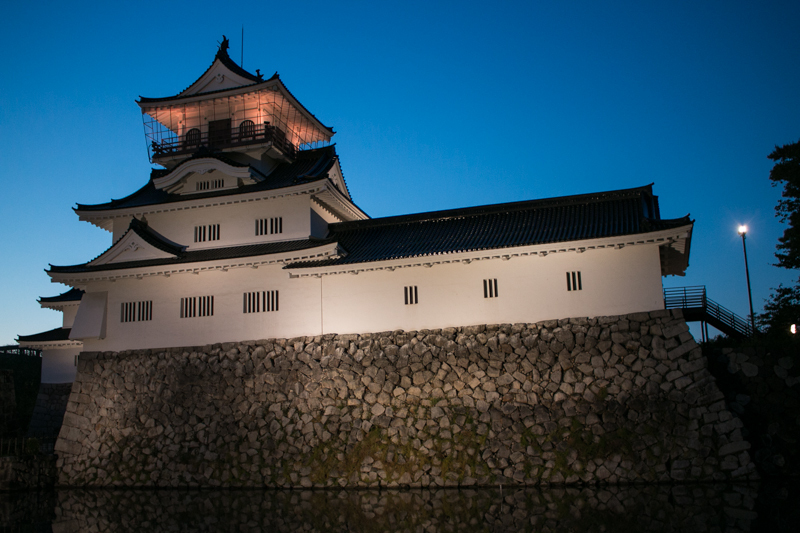 Toyama castle is located at the central area of current Toyama city. 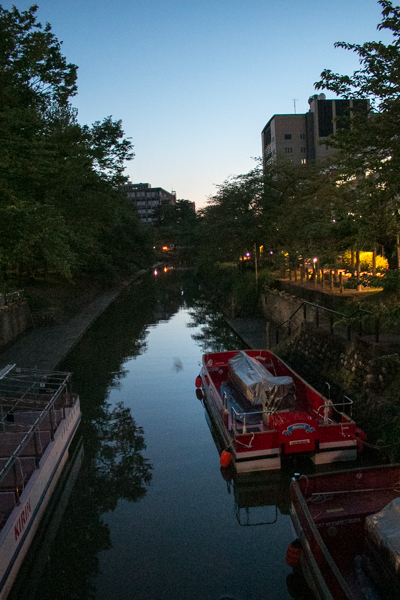 Toyama area is the center of Ecchu province (Toyama prefecture) and has a wide plain area made by large rivers. 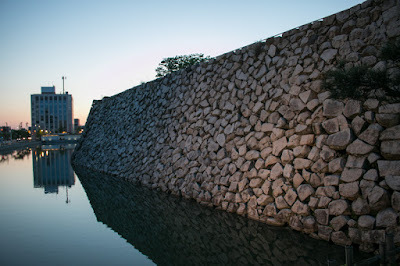 Historically the center of Ecchu country had been Takaoka area, the western part of the country and Toyama area was a wide marsh many rivers flow, but on and after medieval era along with the improvement of flood control Toyama area changed into a granary and became prospered. Toyama castle was originally built by Jinbou clan in 1543, at the side of Jintugawa river originally flew just beside of the castle. In Muromachi era, Hatakeyama clan was a governor of Ecchu country but Jinbo clan at Masuyama castle (Tonami city) and Siina clan at Matsukura castle (Uozu city), deputy governors of western part and eastern part of Ecchu country, gradually grew their power in the absence of Hatakeyama clan. In 15th century, Jinbou clan and Siina clan fiercely fought for Ecchu country in cooperation with Ikko Ikki group, the believers of Ikkochu denomination of Japanese Buddhism and Kenshin Uesugi (1530-1578), a strong warlord of Echigo province (Niigata prefecture) who was praised as “God of War”. 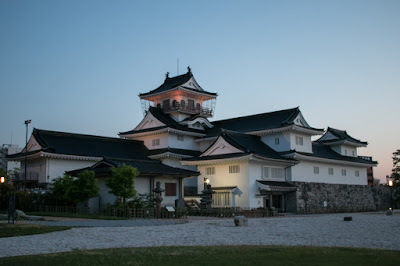 Toyama castle was built under such situation as the base of Jinbou clan toward Siina clan. Concerning this struggle, at first Jinbou clan overwhelmed Siina clan, but Siina clan made counter attack against Jinbou clan with assistance of Kenshin. To cope with that Jinbou clan allied with Shingen Takeda (1521-1573), a warlord of Kai province (Yamanashi prefecture) and rival of Kenshin. Advancing and retreating battle of both clan continued both parties, but Jinbou clan was defeated by Kenshin and leader of Jinbou clan escaped to central ruler Nobunaga Oda (1534-1582). Siina clan revolted against Kenshin by plot of Shingen and was also beaten, thus Kenshin seized whole Ecchu country around 1570. After the death of Kenshin in 1578, Nobunaga Oda strengthen pressure to Ecchu province. In 1578, Nobunaga sent former leader Nagasumi Jinbou (?-?) to Ecchu country from Hida country (northeaster part of Gifu prefecture) and defeated Uesugi army. 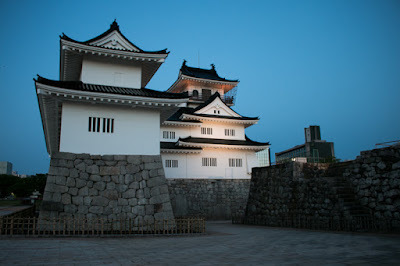 Nagasumi further retrieved Toyama castle, but in 1582 due to the attack of former retainers Nagasumi lost Toyama castle. Nobunaga did not forgive this failure and expelled Nagasumi, thus the main stream of Jinbou clan disappeared from the history. But relative of Jinbou clan survived as a retainer of Edo Shogunate and left his name for Jinboucho town in Tokyo. Nobunaga who retrieved Toyama castle placed his confident general Narimasa Sasa (1536-1588). Narimasa was originally a local retainer of Owari country (western part of Aichi prefecture), and served to Nobunaga as a page from youth. After growing up, Narimasa proposed to the first position of Kurohososhu, the unit under direct command of Nobunaga. Along with Toshiie Maeda (1539-1599), the first position of another unit named Akahoroshu, Narimasa activated at many battles, and especially at the battle of Nagashino against Katsuyori Takeda (1546-1582) in 1575 Narimasa lead masket gunnner and contributed to the victory. In 1575, Narimasa promoted to the lord of Komaru castle (Fukui prefecture) and was attached to Katsuie Shibata (1522-1583), the regionl commander of Hokuriku region resided at Kitanosho castle (Fukui prefecture), along with Toshiie. At first Katsuie was forced a hard fight against Kenshin Uesugi, but after the death of Kenshin Katsuie gradually expanded their territory into Noto country (Noto peninsula) and Ecchu country utilizing internal conflict of Uesugi clan. In 1582, Katsuie occupied Toyama castle and placed Narimasa as the commander of the castle, and Narimasa expanded Toyama castle as a base of this region. Narimasa also coped with administration of this area such as water improvement. In that year Katsuie and Narimasa siege Uozu castle (Uozu city), the last base of Uesugi clan at Ecchu country and occupied in June. But at the very same day of occupation, their master Nobunaga died in the incident of Honnoji, a coup d’etat by Mitsuhide Akechi (1528-1582). Hearing the news Katsuie and Narimasa returned to their territory to prevent rebellion of former Uesugi retainers or Ikko Ikki group, then planned to revenge against Mitsuhide. But in the meantime, Hideyoshi Hashiba (1537-1598, later Hideyoshi Toyotomi) , another regional commander of Nobunaga who confronted against Mouri clan in Chugoku region, quickly made peach with the opponent and returned to Kinki region and defeated Mitsuhide. By making revenge of his master, Hideyoshi became virtual successor of Nobunaga. But as a elite of guard troops, Narimasa was proud himself and did not intend to obey Hideyoshi who promoted from poor pheasant. In 1583, Katsuie and Hideyoshi fought at Shizugatake (Shiga prefecture), and Hideyoshi defeated Katsuie at this battle. Katsuie killed himself at his residence Kitanosho castle, and Toshiie surrendered to Hideyoshi. As Narimasa guarded Ecchu country preparing for invasion of Uesugi clan whicu was close to Hideyoshi, Narimasa did not participate in the battle of Shizugatake and did not fall with Katsuie. Once Narimasa obeyed to Hideyoshi, but when Ieyasu Tokugawa (1543-1616), former ally of Nobunaga and strong lord of Tokai region opposed to Hideyoshi in 1584, Narimasa became also clearly hostile to Hideyoshi again. Narimasa’s target was Toshiie at Kanazawa castle who had Kaga country and Noto country, next counties of Ecchu country and now belonged to Hideyoshi. Narimasa guarded the border between Kaga country and Ecchu country by building castles, then made preemptive attack to Suemori castle (Ishikara prefecture), the base of Toshiie which connected Kaga country and Noto country. 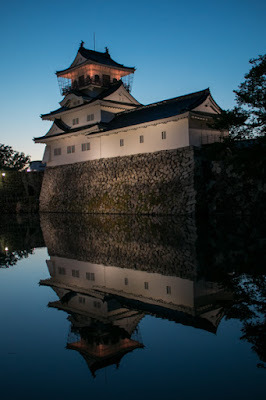 Narimasa fiercely attacked Suemori castle and occupied secondary area of the castle, but Nagatomi Okumura (1541-1624), the commander of Suemori castle, well fought and stand the central area. In the meantime, Toshiie lead reinforcement and arrived at the backside of Narimasa army, thus being lost the possibility of quick capture Narimasa retreated to Toyama castle. At the same time Ieyasu defeated Hideyoshi army at the battle of Komaki Nagakute, but considering the difference of national power, Ieyasu stopped hostile activity against Hideyoshi. Seeing that situation Narimasa tried to persuade Ieyasu to fight against Hideyoshi again by any means, and tried to visit Hamamatsu castle (Shizuoka prefecture), the residence of Ieyasu. But all roads were shut by Hideyoshi supporters, thus Narimasa and his fellow passed deep and high mountains of Tateyama in severe winter. It was a great act by the tenacity of Narimasa called as “Sarasara Goe” (passing deep power snows), but once showing his power to Hideyoshi, Ieyasu did not intend to fight against Hideyoshi any more. 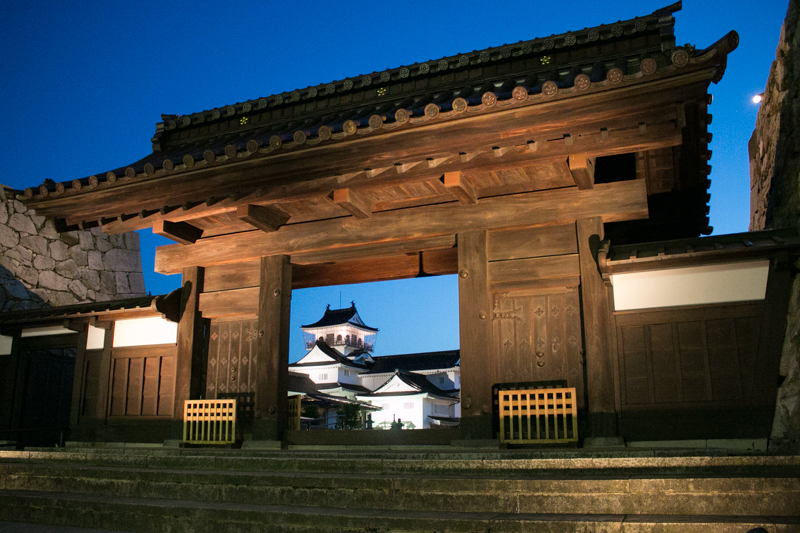 Narimasa had to return to Toyama castle in vain. Next year Hideyoshi beated his opponents such as monk soldiers of Zaiga region (Wakayama prefecture), and Chosokabe clan which once united Shikoku country. In August 1585, Hideyoshi started his campaign against Narimasa. 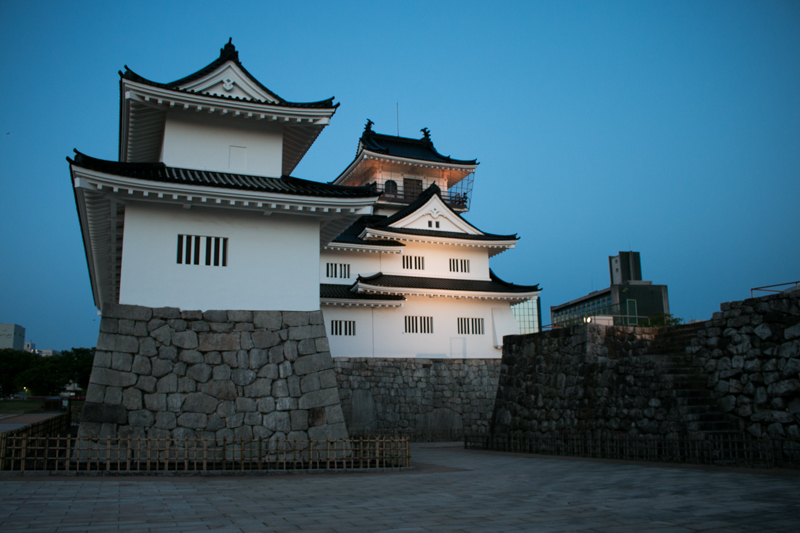 Facing nearly 100,000 soldiers of Hideyoshi, Narimasa besieged at Toyama castle with all soldiers. In response to this, Hideyoshi easily encircled Toyama castle, and Uesugi clan also attacked Ecchu country from backside. Totally isolated and encircled, Narimasa could not do anything then after one week opened Toyama castle and surrendered again. In 1587, after Kyushu campaign against Shimazu clan, the warlord of Satsuma province (Kagoshima prefecture), Hideyoshi appointed Narimasa as a lord of Higo province (Kumamoto prefecture) newly occupied. Higo province was a difficult area with non obedient loral lords thus it is said as harassment of Hideyoshi, but it is also thought that Hideyoshi evaluated Narimasa’s experience which governed Hokuriku region which was also newly occupied area with strong local lords and Ikko Ikki rebellions. 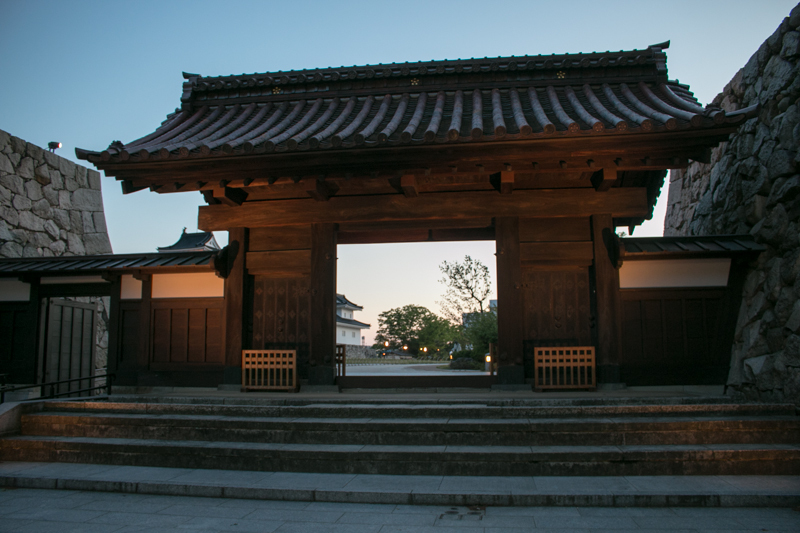 Narimasa entered to Kumamoto castle of Higo province and started his administration, but his drastic politics especially for land survey was opposed by local lords and there occurred large rebellion and Narimasa could not settle the situation by himself. Being accused for his failure, Narimasa was forced to die by Hideyoshi next year. After the surrender of Narimasa, Ecchu country was given to Toshiie by Hideyoshi. Maeda clan could keep their territory after the death of Hideyoshi, and Toyama castle became the residence of Toyama domain, the branch domain of Kaga domain and was expanded. 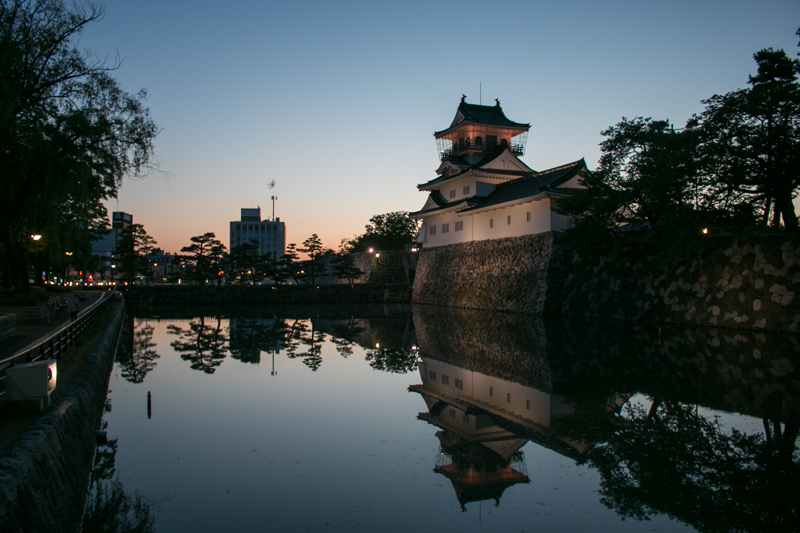 Finally Toyama castle consist of three layer of areas placed at concentric circle and total size reached 600 meter long and 400 meter wise. As a only castle (Takaoka castle was abolished soon after construction), Toyama town prospered as a center of Ecchu country. Today all buildings except for one gate of lord’s residence and outer area were lost, and certain part of stone wall and water moat surrounded the central area were broken. After WW2, a castle like building was built on remaining stone walls as local museum, and castle site is used as a park. Steep Tateyama mountains where Narimasa passed seen from castle site shows pride and honor of Narimasa who did not want to obey to the ruler.